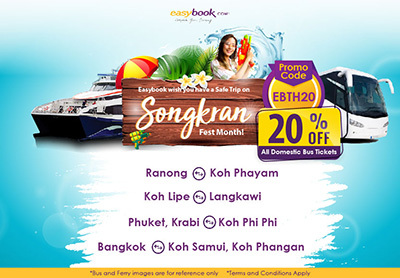 Easybook wish you have a Safe Trip on Songkran Fest Month! Limited-Time Offer! Up to 20% Discount for All Bus Routes in Myanmar!